Making weekend plans in Brooklyn this month will be a bit trickier than normal. The Metropolitan Transportation Authority is suspending service between Bed-Stuy’s Bedford-Nostrand station and Long Island City’s Court Square station every weekend in September for “track maintenance.” There will be free shuttle buses available for North Brooklyn-bound straphangers (h/t Brooklyn Paper). The suspended service begins Fridays at 9:45 pm through 5 am on Mondays, on Sept. 7-10, 14-17, 21-24 and Sept. 28 to Oct 1. And don’t expect any G train service during those same times on Nov. 2-3. However, there will still be G-train service between Bedford-Nostrand and Church Avenues during those weekends. 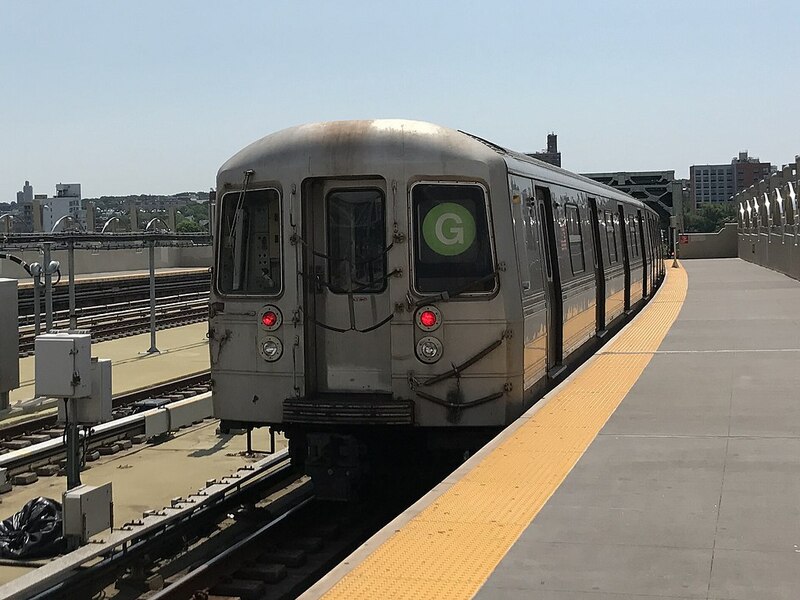 And following a month of no G-train service, Brooklynites will not be able to take the L-train to Manhattan over 15 weekends. 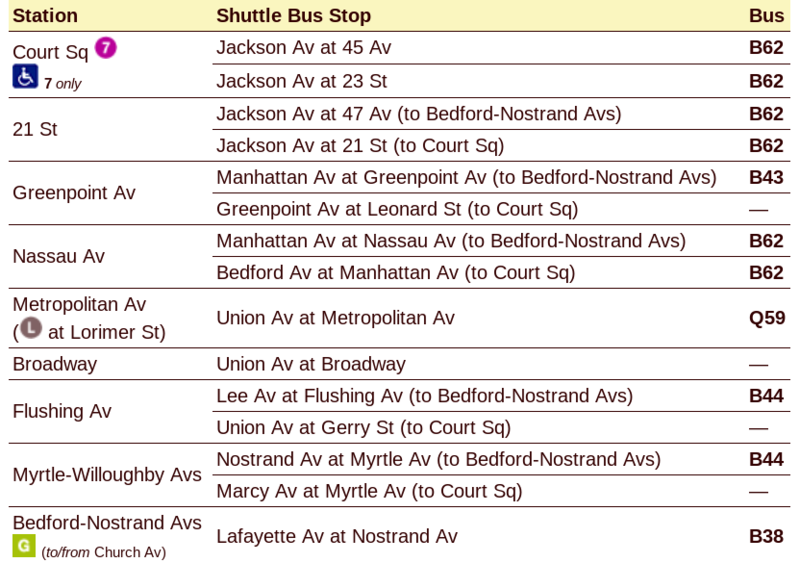 Every weekend in October, the L will only operate between Broadway Junction and Carnasie-Rockaway Parkway. Service will also be suspended for two weekends in November and eight weekends through February, March and April, just ahead of the impending L-train shutdown, scheduled for sometime in April.